Scientists have studied the wild storms on Jupiter, Uranus and Neptune for a while, but Neptune’s Great Dark Spots have always been particularly interesting. These giant storms appear as large circles or dots on the planets; Jupiter’s Great Red Spot has been the most well-known of these storms for years. Now scientists say they have captured the birth of one of Neptune’s Great Dark Spots for the first time using the Hubble Space Telescope. Like Jupiter’s Great Red Spot, Neptune’s Great Dark Spots form in areas of high atmospheric pressure. Unlike storms on the gas and ice giants, storms on Earth form around areas of low pressure. Over the past few decades, scientists have observed six dark spots on Neptune. The Voyager 2 spacecraft spotted two storms in 1989, and since Hubble’s launch in 1990, four more storms have been detected. 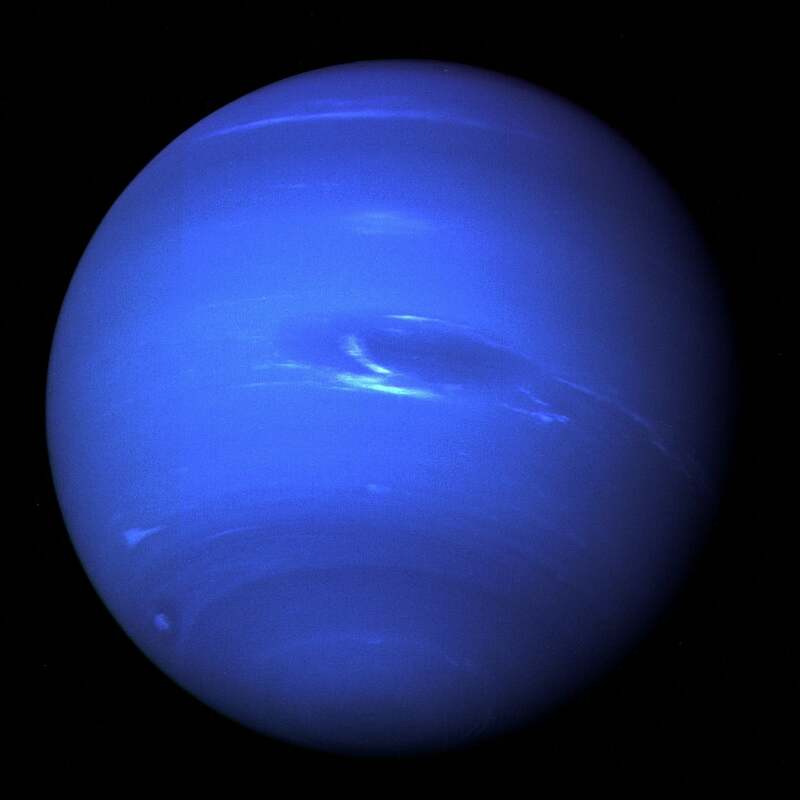 In a new study published in the journal Geophysical Research Letters, researchers analyzed photos of Neptune, particularly focusing on companion clouds which appeared two years before the birth of the Great Dark Spot which became visible in 2018. The images were also helpful in determining the frequency of dark spots appearing and their duration. The new findings should help researchers understand what happens inside the planet’s atmosphere to cause those storms. They could also help researchers study exoplanets of a similar size in the future. Five years after Voyager 2 passed the planet, capturing images of two storms scientists named “the Great Dark Spot” and “Dark Spot 2,” the Hubble Space Telescope caught sharper images of the ice giant which showed that both dark spots, one of which was Earth-sized, had vanished. Neptune’s most recent Great Dark Spot appeared in 2018, and it’s nearly identical in size to the spot Voyager captured in 1989. Simon and her team were analyzing Hubble’s images of the smaller dark spot that appeared in 2015 when they saw bright white clouds in the region where Neptune’s next Great Dark Spot formed. The high-altitude clouds the researchers observed were composed of methane ice crystals, which make them look brighter white in the images. Thanks to these observations, researchers think methane clouds accompany the storms that later turn into dark spots. Simon and co-authors Michael Wong and Andrew Hsu at the University of California, Berkeley observed the methane clouds which lasted from 2016 to 2018. Their observations suggest the clouds were the brightest in 2016 and 2017, just before the Great Dark Spot became visible in 2018.